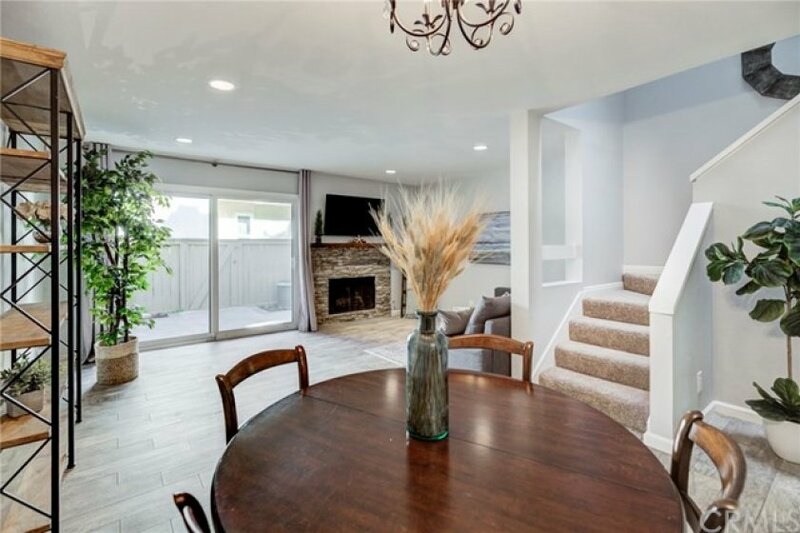 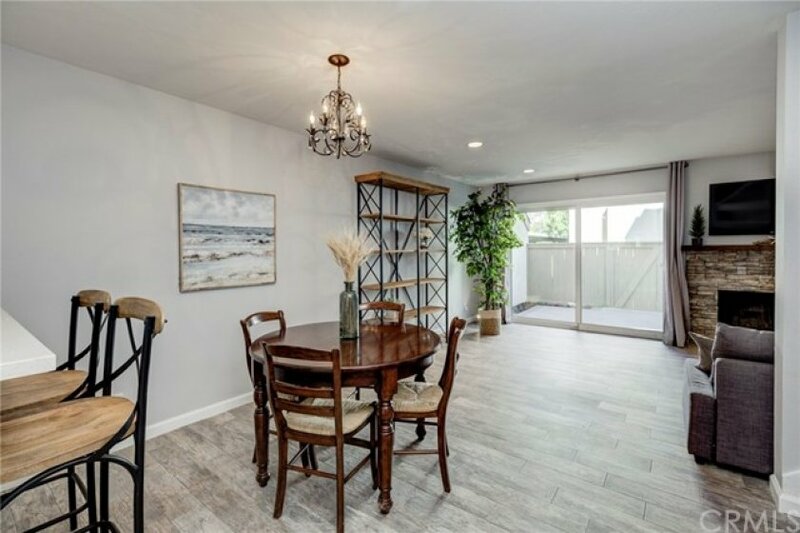 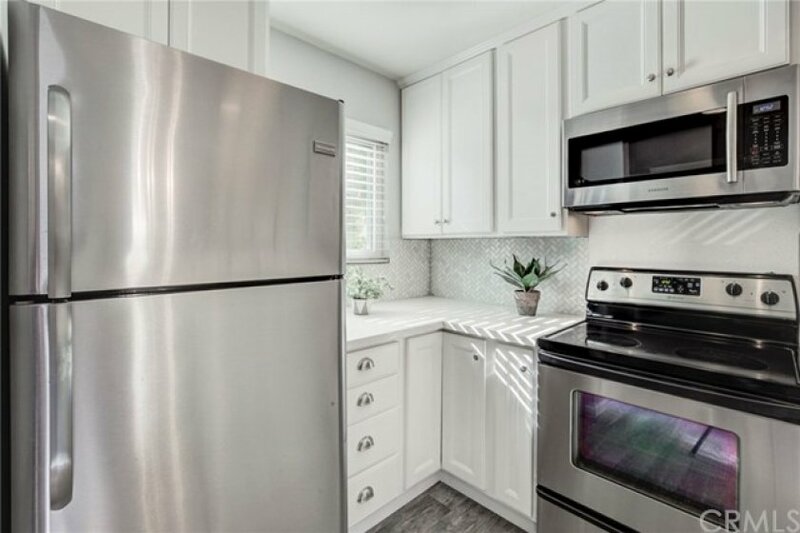 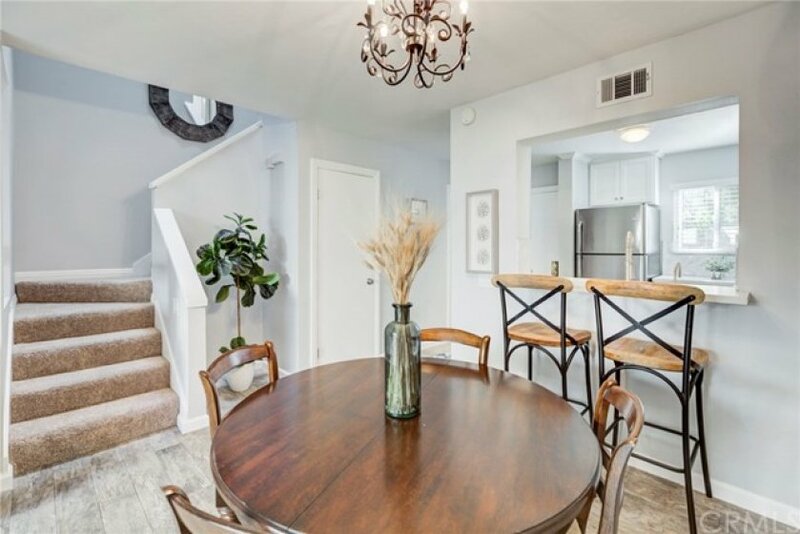 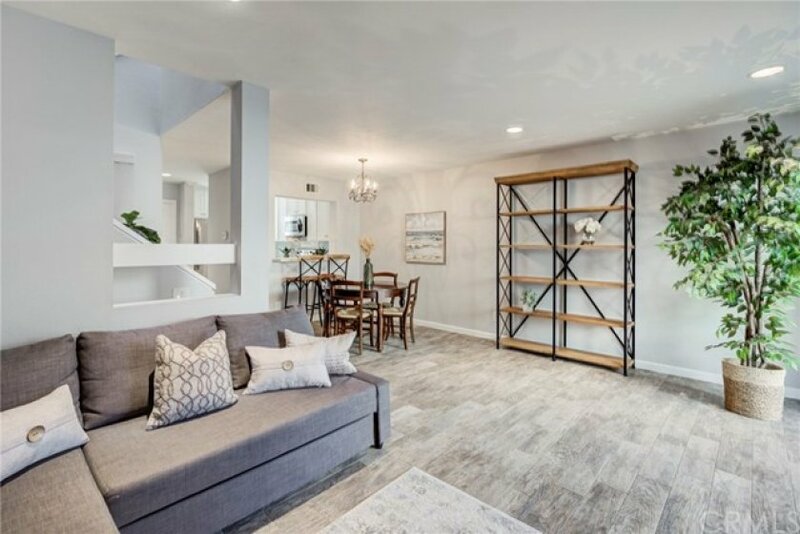 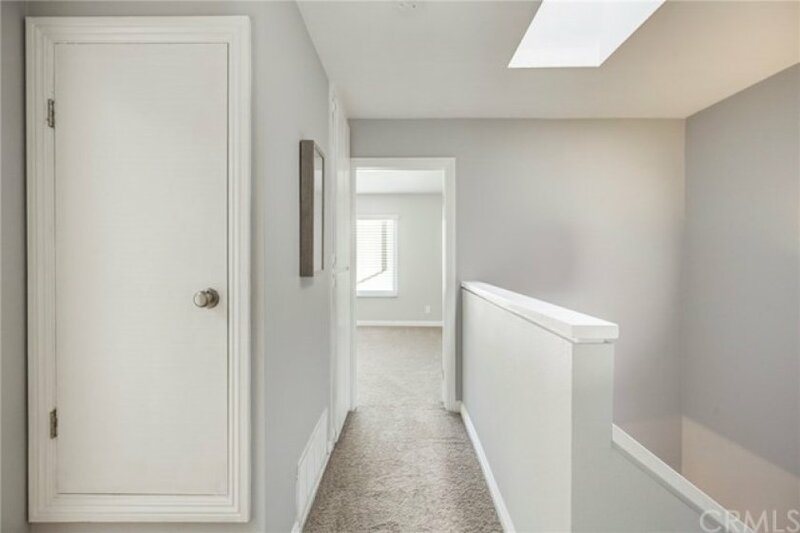 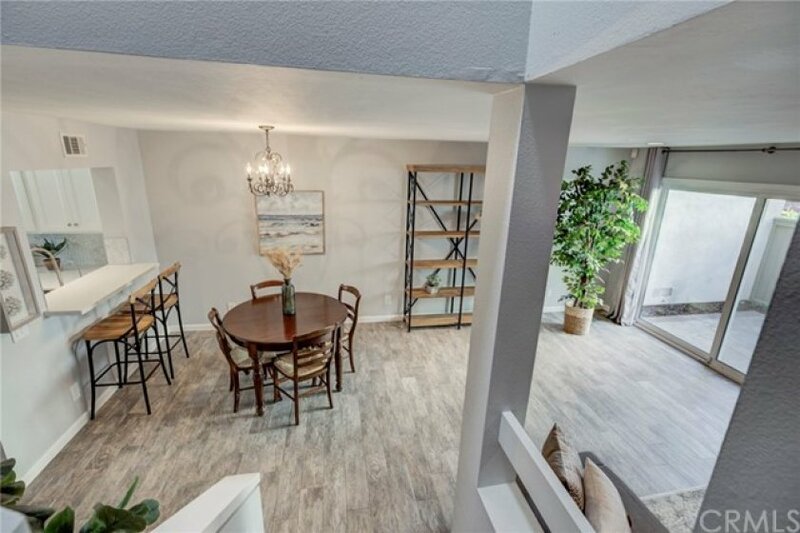 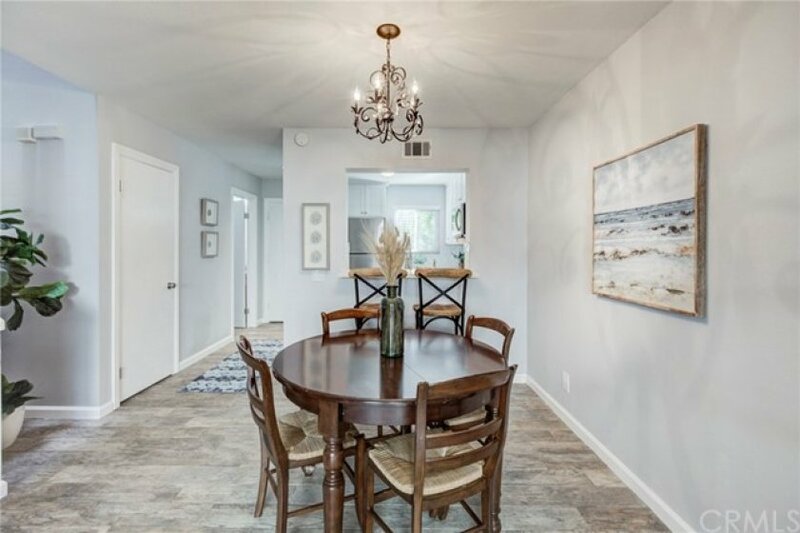 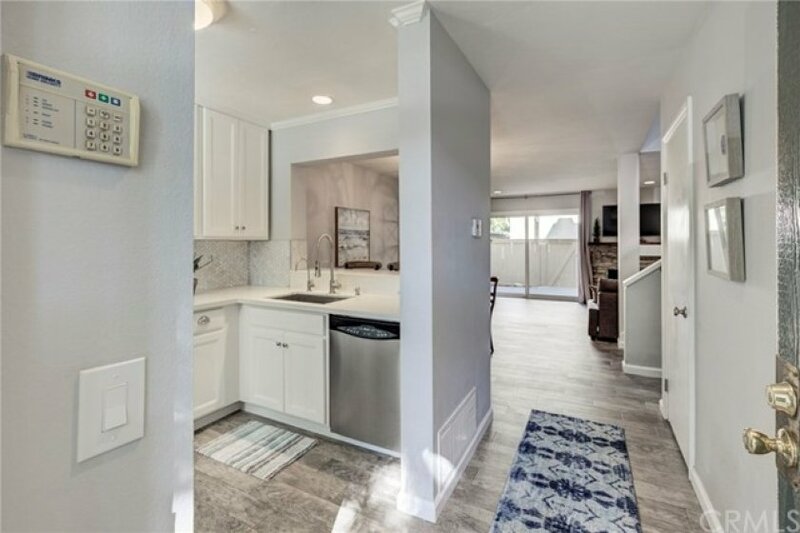 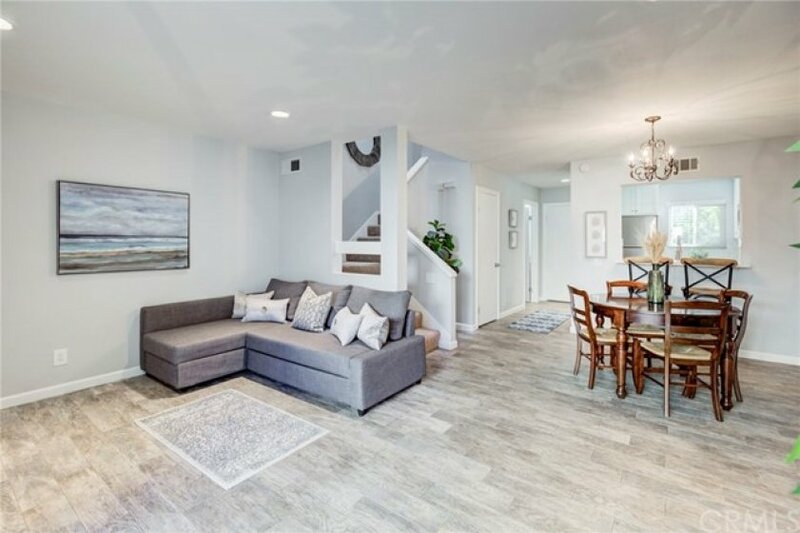 LOCATION...LOCATION...LOCATION...This gorgeous townhome is located on an amazing tree-lined street at Creekside in the Villeurbanne community. 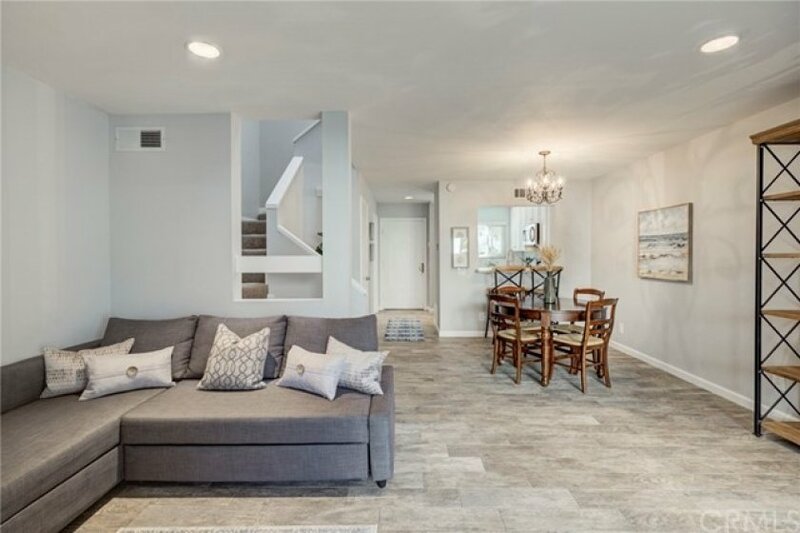 This homes shows like a model and priced to sell! 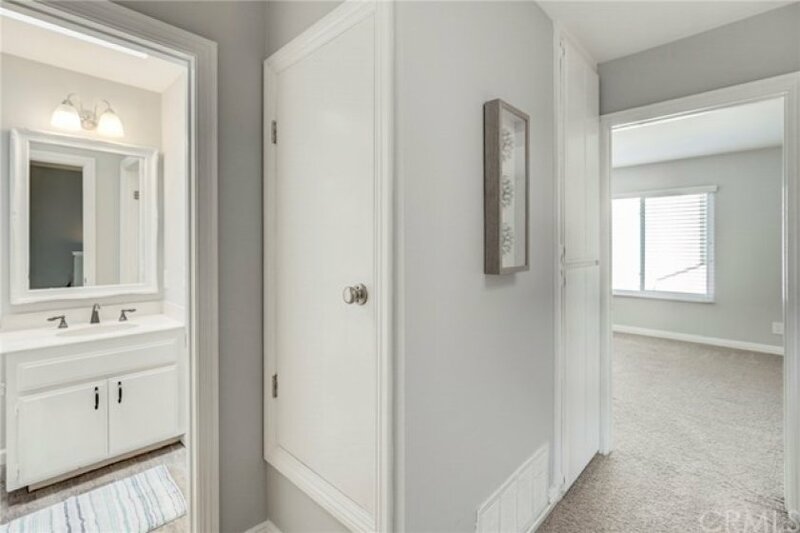 Chic gray/beige walls throughout with rich finishes. 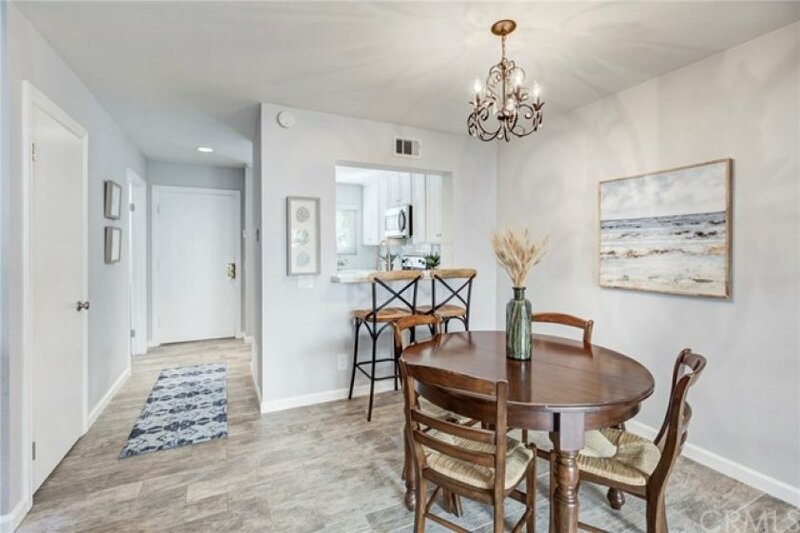 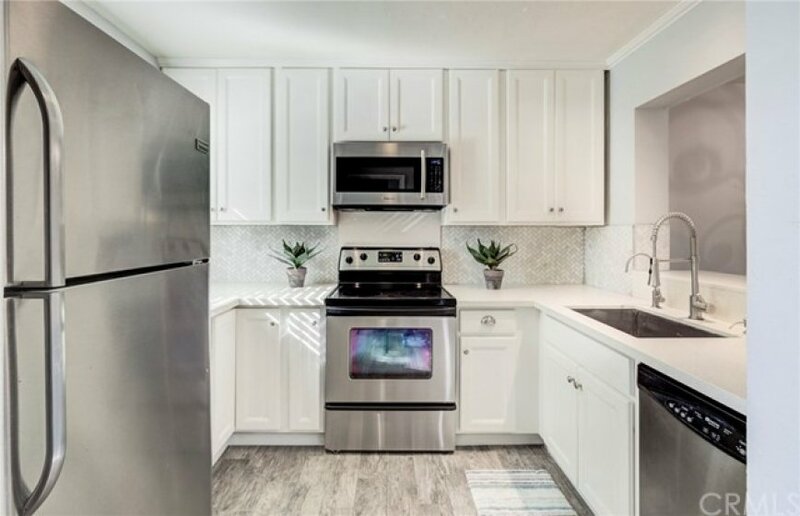 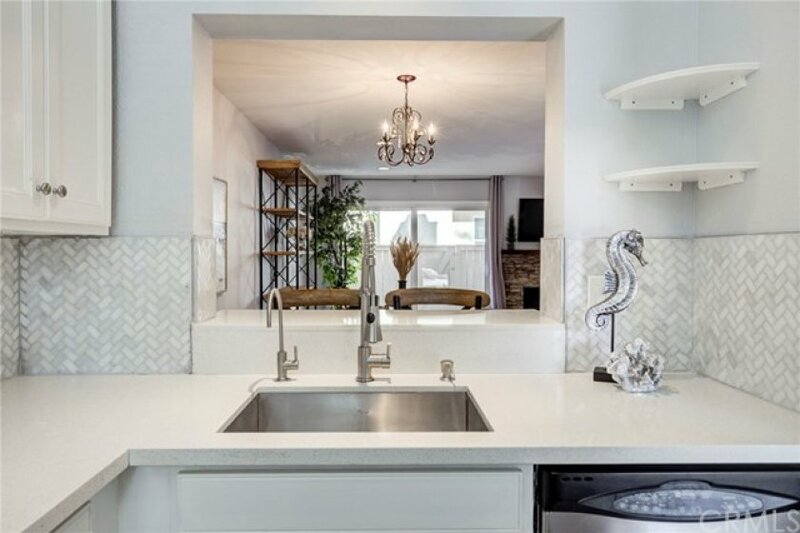 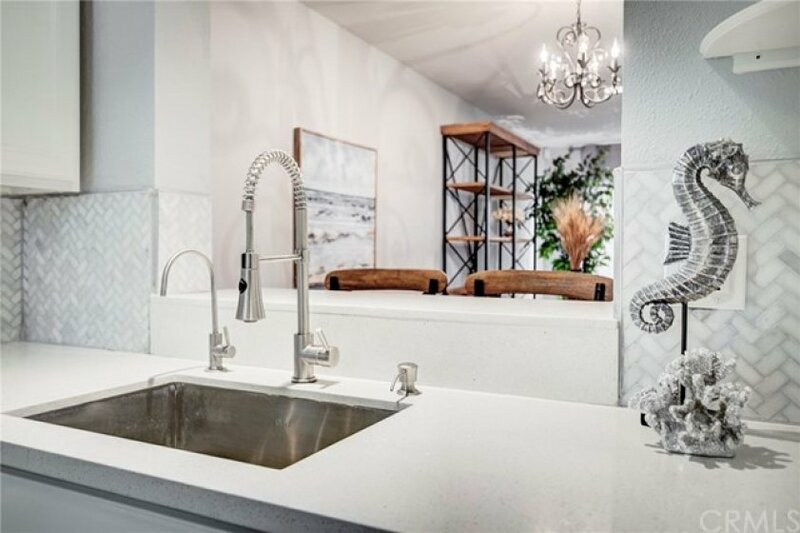 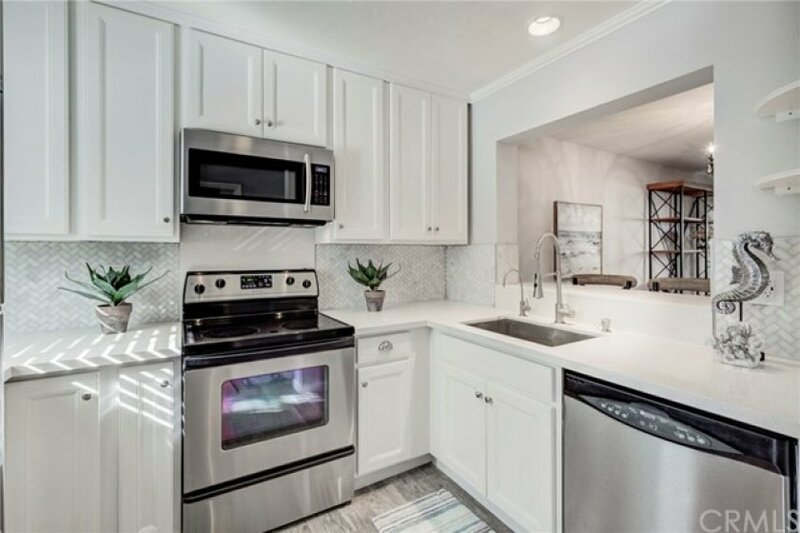 Kitchen features new sparkling quartz counters and marble backsplash with stainless steel appliances and opens onto a large dining and living area. 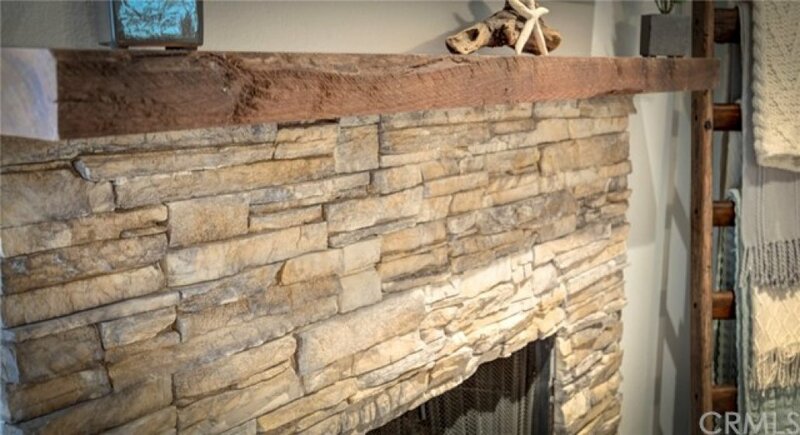 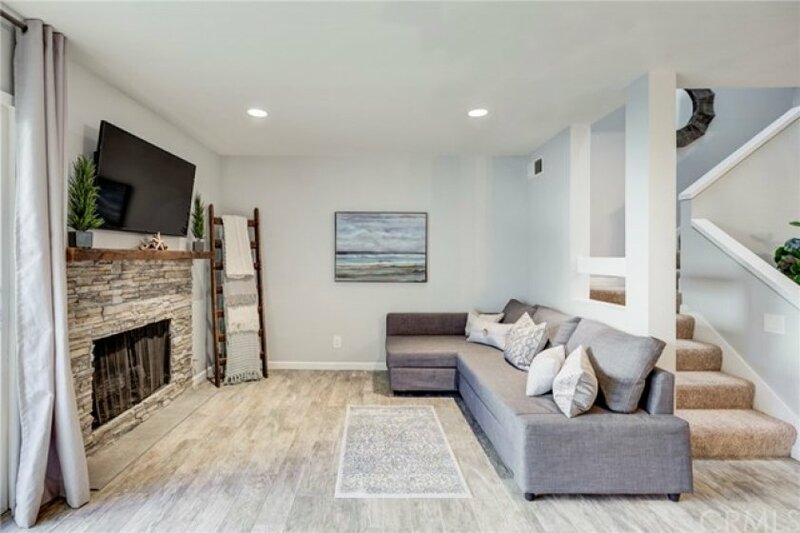 Beautifully rustic wood style tile flooring throughout lower level is enhanced by the charming stack-stoned fireplace and rustic wood mantel. 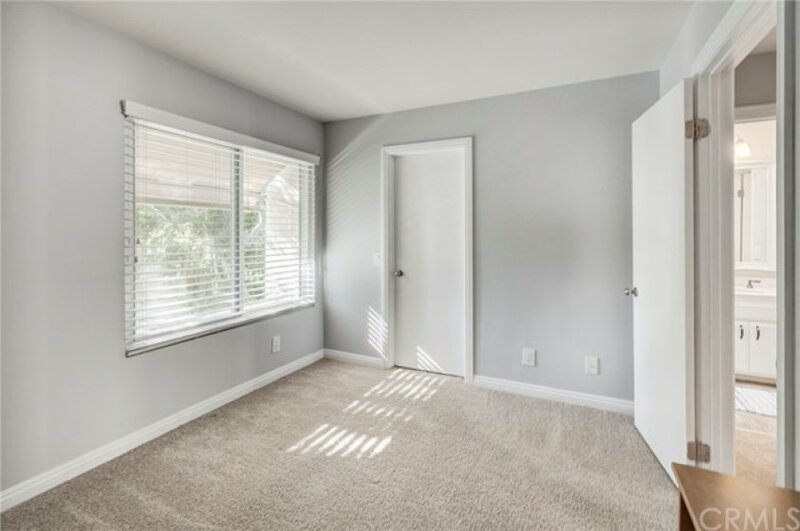 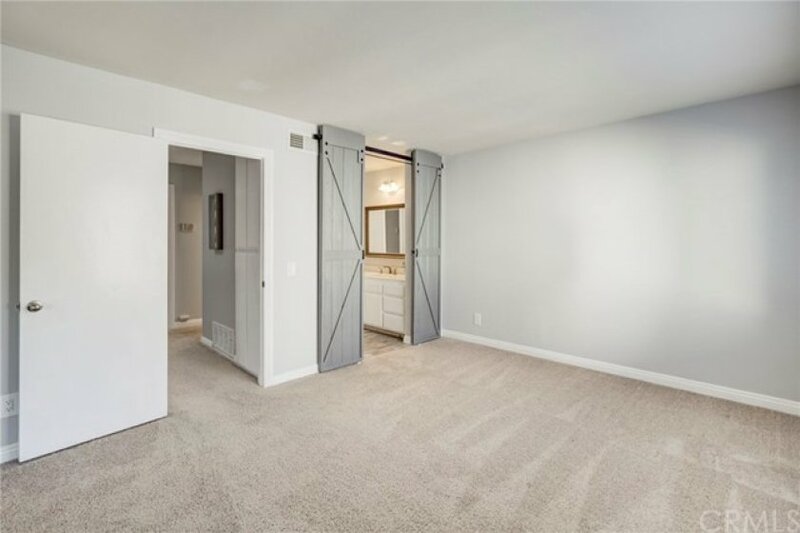 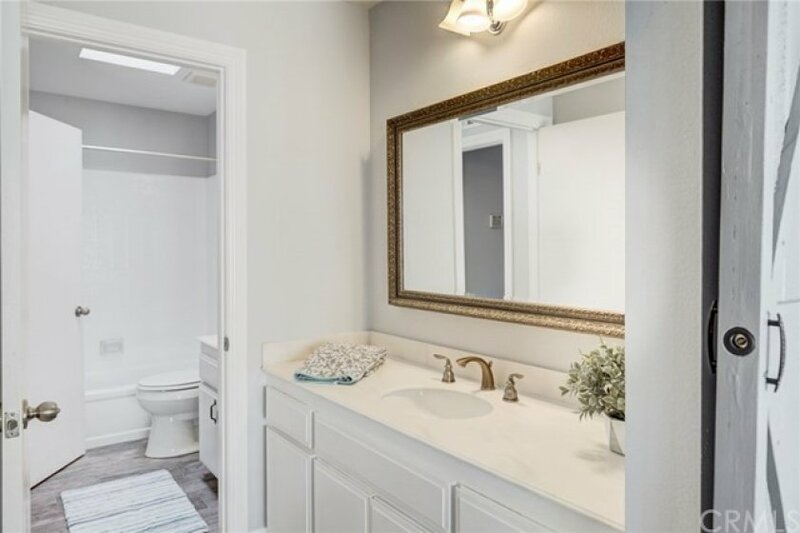 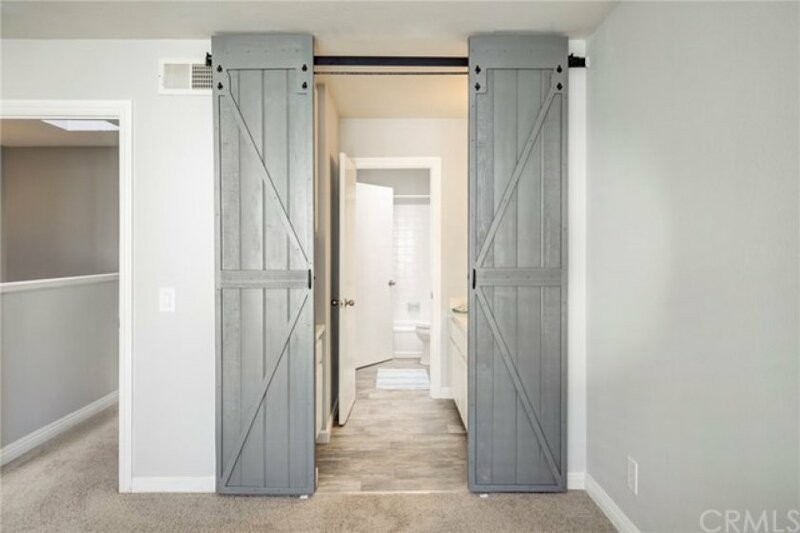 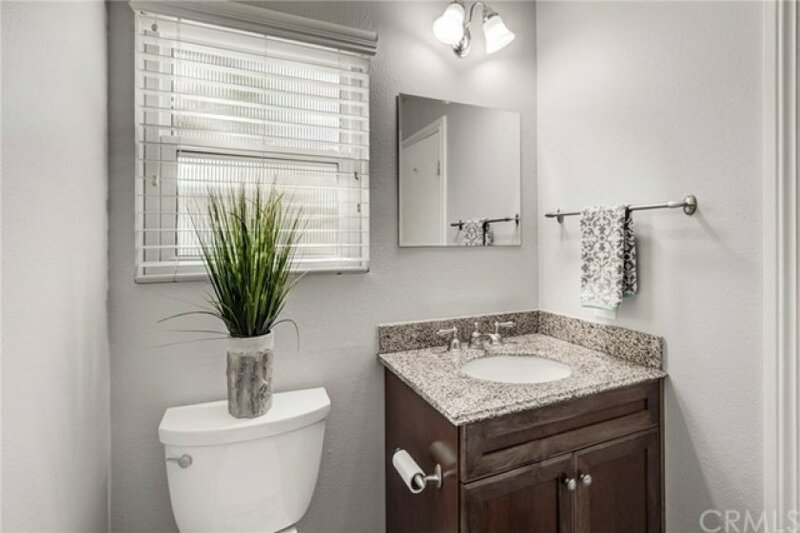 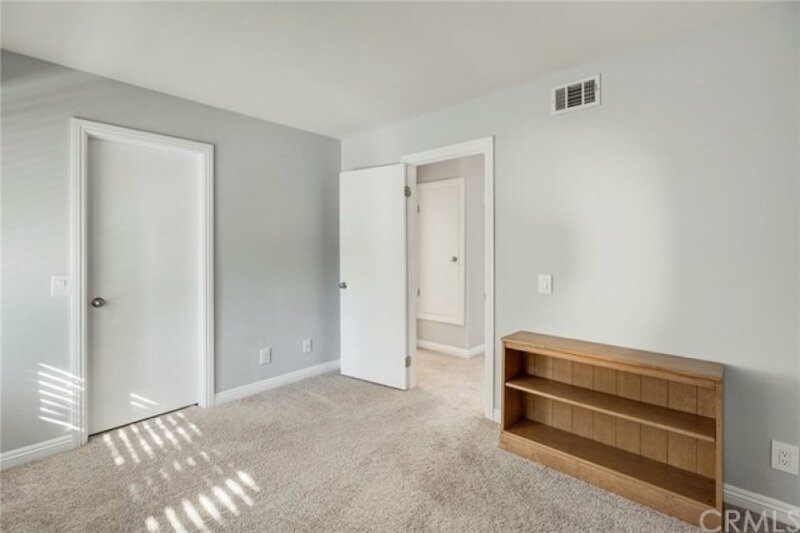 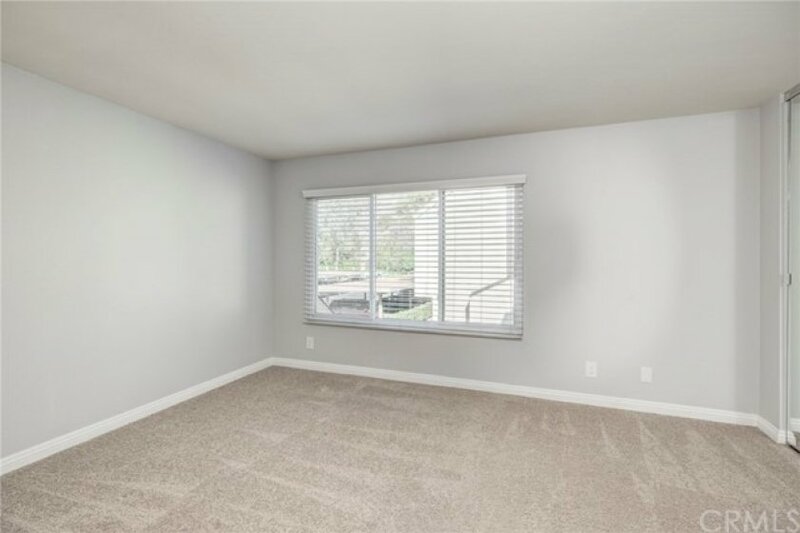 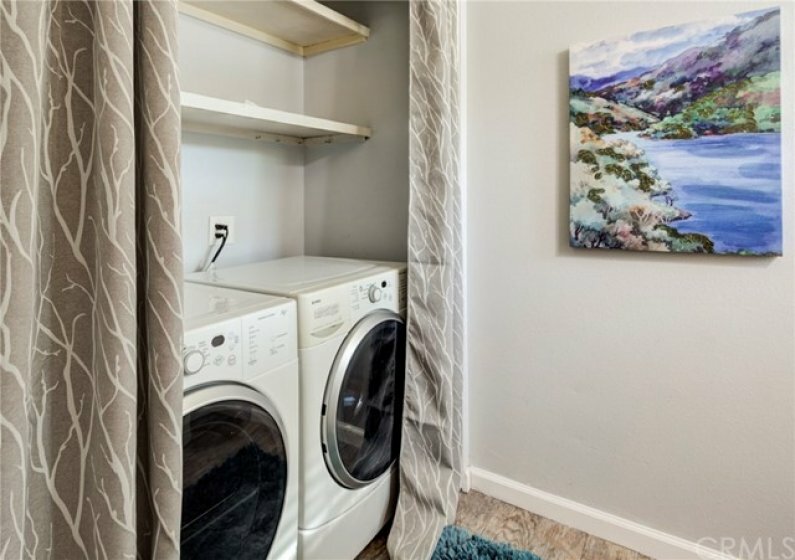 The downstairs powder room is also access to a full-size laundry closet complete with the convenience of additional storage. 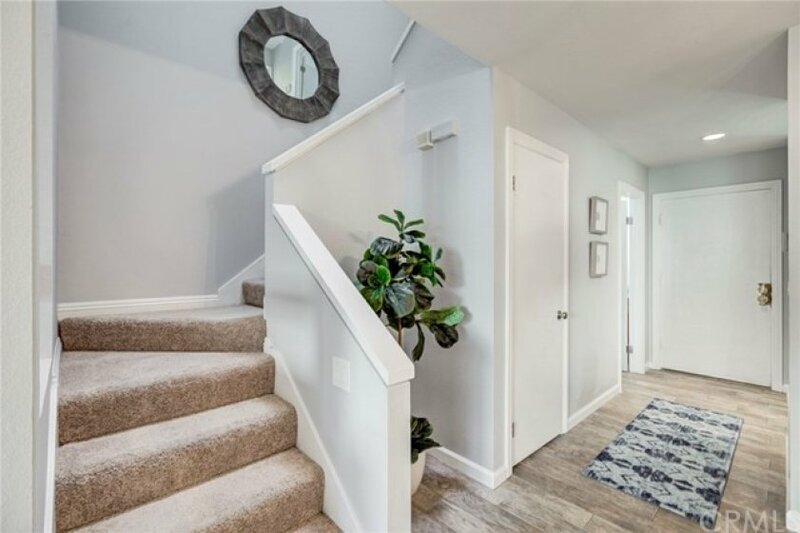 Upstairs features a light-catching skylight, plush neutral toned carpeting, and two generously sized bedrooms. 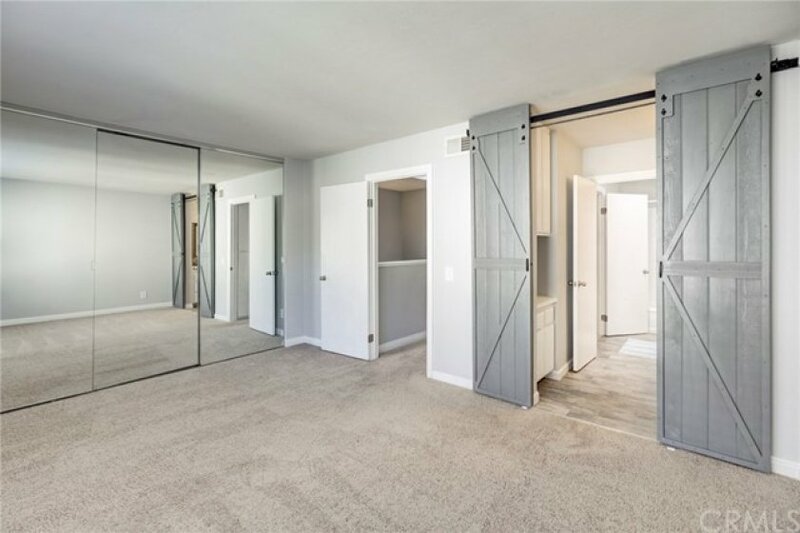 The master bedroom is cheerfully sunlit with large mirrored wardrobes and amazing custom barn doors into the full hall bathroom. 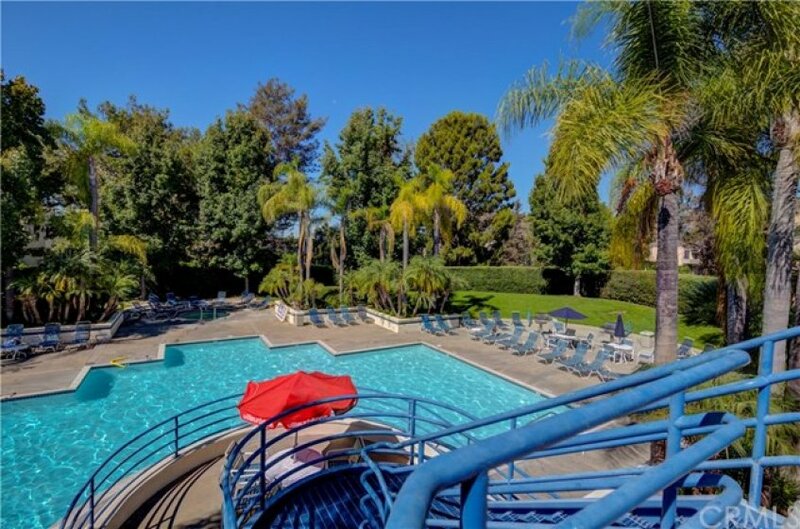 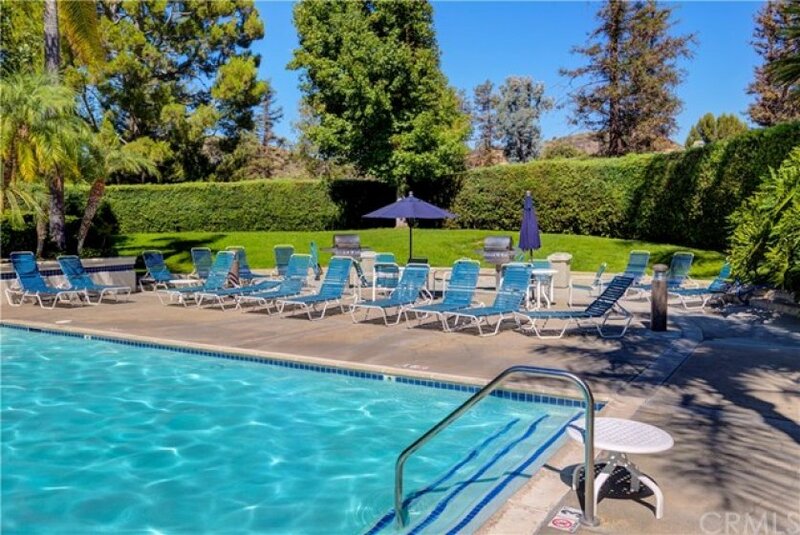 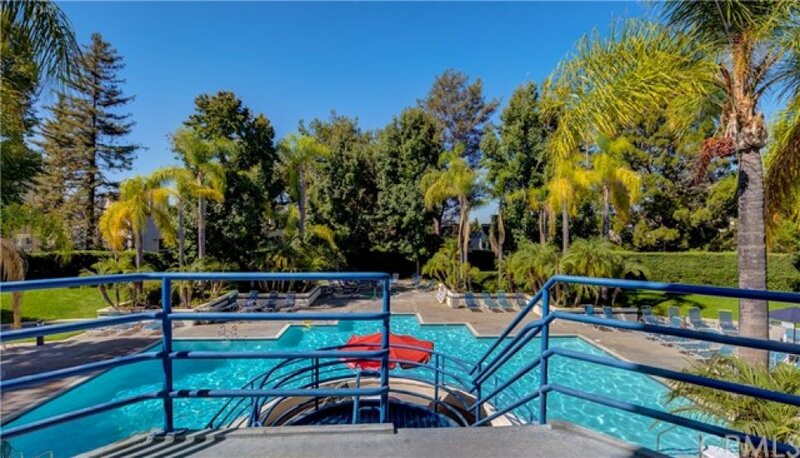 Enjoy the nearby community pool and spa. 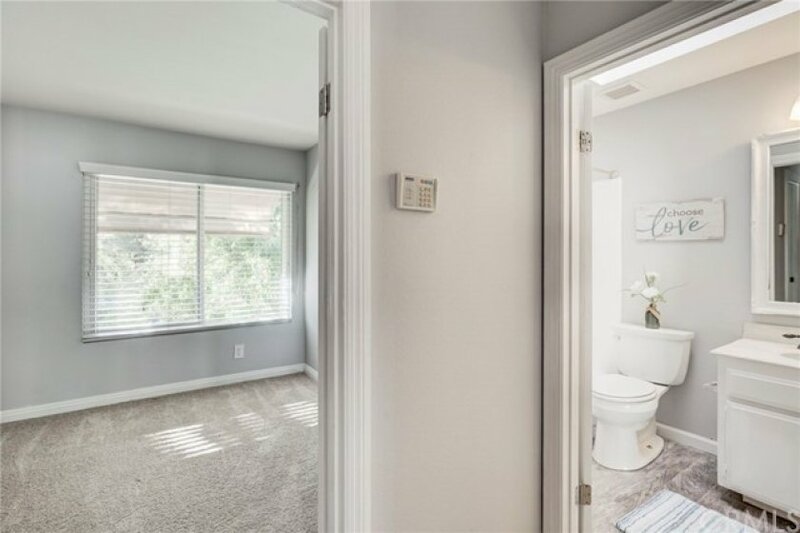 The HOA includes water and trash. 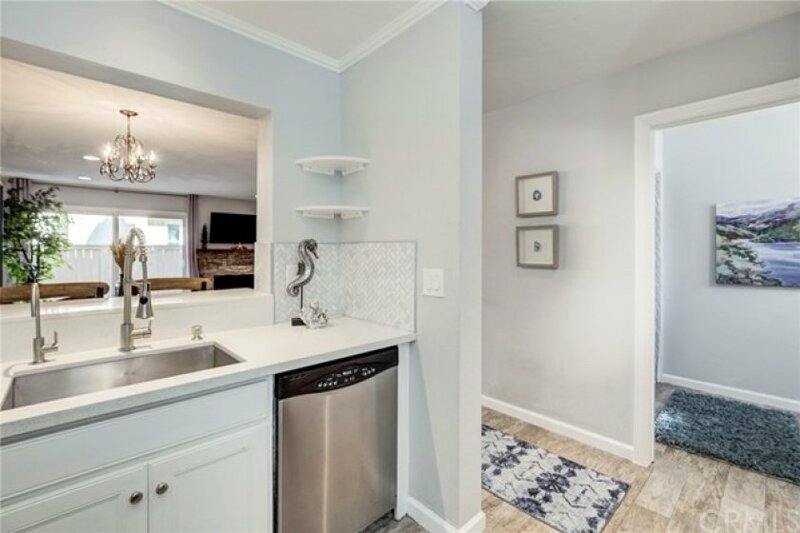 This home is conveniently close in proximity to fabulous shops, fine dining, and wonderful schools. 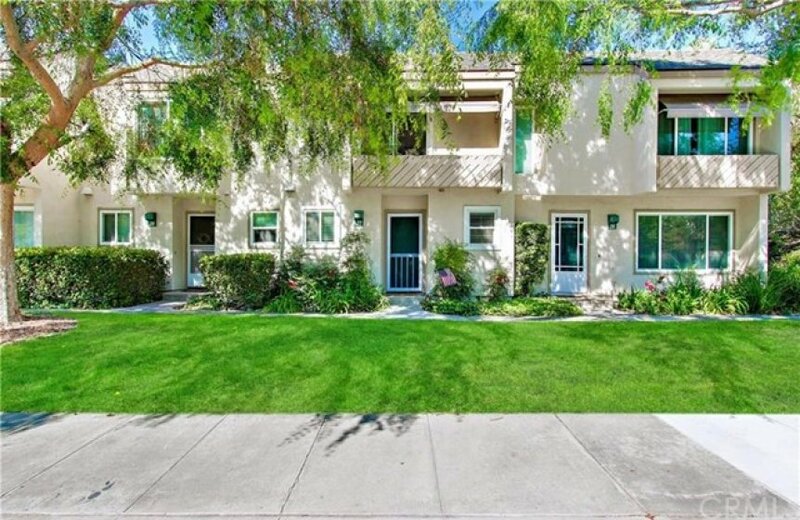 Near beautiful Irvine Regional Park, Peters Canyon and wide open space for hiking make this a phenomenal opportunity! 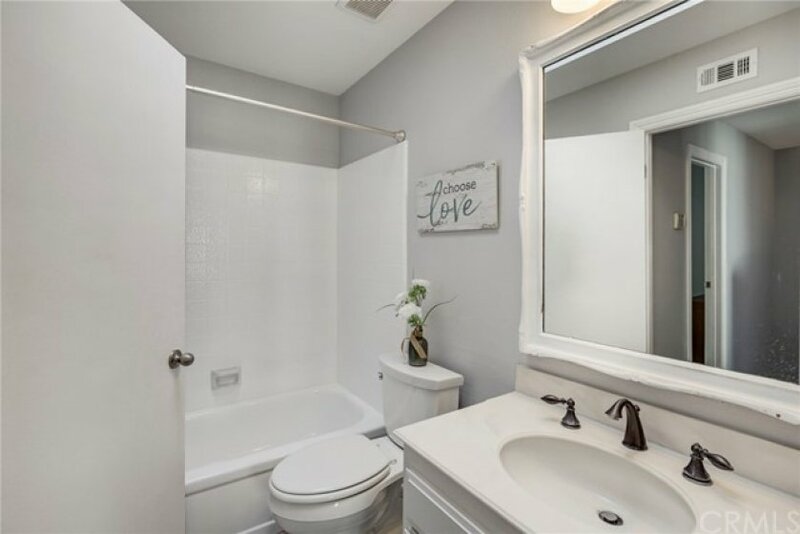 Listing provided courtesy of Shari Moretti at Homesmart, Evergreen Realty.